Americhem as been a member of The Vinyl Siding Institute (VSI) since the institute’s inception. VSI started off in the 1960’s and at that time, they were a part of the Society of the Plastics Industry. Americhem was involved with the organization from the very beginning of the vinyl siding industry, which also started in the 1960s. 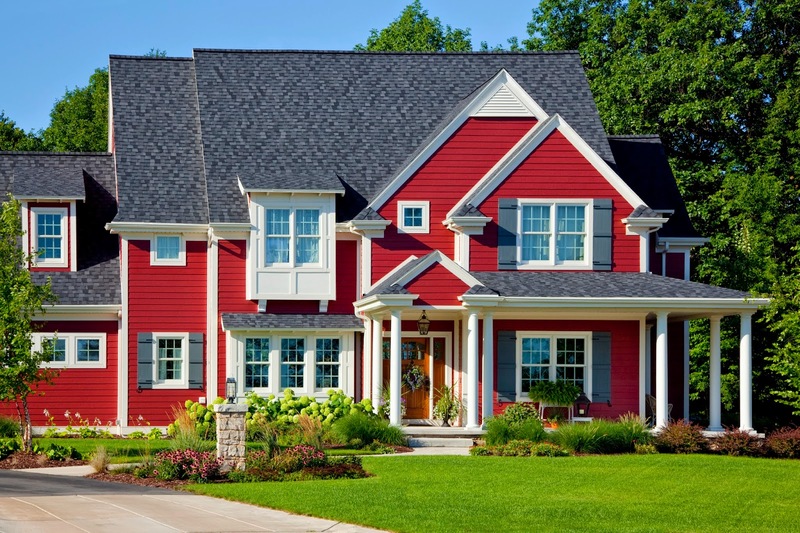 Americhem has played a key role in the coloring and color retention of vinyl siding. Former Director of Research Rick Mathew knew that color retention was going to be crucial in the industry’s foundation. Based on his knowledge of color science, he knew that the numeric ΔE value, which measures the color difference between the initial color and the color of weathered siding, does not always agree with visual assessments of color difference. Rick lead the industry in establishing hand drawn ellipses for multiple regions of color space that corresponded to a visual assessment of the limits of acceptable color change in siding after weathering. Back in those days, in order to determine if a vinyl siding color was within the acceptable color change limits, Americhem employees made hand drawn ellipses for each of the vinyl siding color spaces, plotting the ΔE’s by hand. This was in the time before personal computers which now make such tasks much easier. The work done by Americhem helped establish a new standard in the industry, ASTM 3679. This specification establishes requirements and test methods for the materials, dimensions, warp, shrinkage, impact strength, expansion, appearance, and wind load resistance of extruded PVC siding. The weathering component of the standard was an appendix which remained in place until the late 90’s, when Americhem scientist Phil Ledgerwood urged the industry to move to mathematical equivalents of the hand drawn ellipses. This resulted in a new, easier method of determining if weathered panels met the color retention requirements. Americhem has continued its contributions to VSI until the present day, including the introduction of CIEL*a*b* ΔE2000 as the method of choice for vinyl siding color retention over the previous Hunter Lab method. This move redefined what was acceptable and unacceptable in the industry. Americhem employees have served on committees within the VSI, including several polypropylene task groups, the heat distortion committee and the life cycle analysis group. Beyond the organization, Americhem has helped dozens of vinyl siding manufacturers over the years to optimize their product offerings. In 2005, Ledgerwood won the VSI’s Ken Mieure Award for distinguished service, which was one of the first awards given to an employee of an industry supplier (most past awards went to employees of vinyl siding makers.) The award was created in the late 1990s and recognizes extraordinary efforts of members in helping to build and advance the industry. We continue our active participation in VSI and recently, market segment manager Mike Fair was named to VSI’s board. Americhem’s contributions continue with our work in dark color spaces, where the goal is to prevent heat distortion, and in variegated products that simulate the look of natural wood grain. The VSI has served a valuable role in the industry by establishing standards and monitoring for the industry’s products. Many industries could benefit from following VSI’s model.